For us, the greatest award of them all is a broad and sincere smile on the faces of our Guests. Day after day, we don’t stop in our struggle to satisfy their every whim. We’re extremely glad and grateful for this shower of thanks and positive reviews expressed by our Guests. Hopefully, the Zalesia Mazury will always be the best holiday resort ever known to mankind. Well, dream big, right :) Of course, words are important but deeds give them a proof, and therefore, we are happy to have received so many awards and honours so far. And they’re still coming! 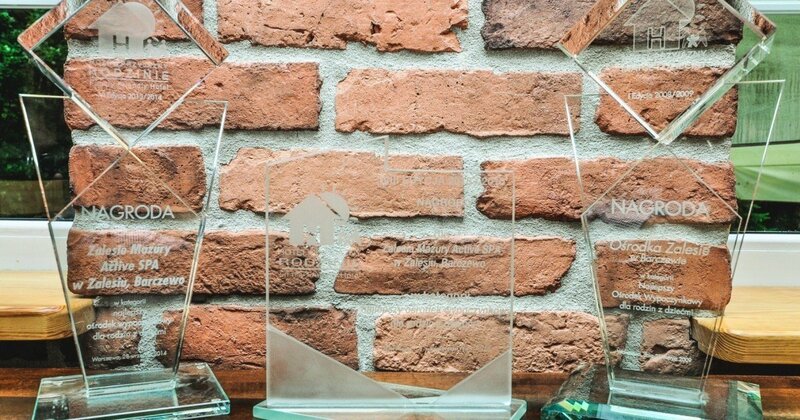 In the 9th edition of the Family Friendly Hotel Contest, we once again gave the proof for being endlessly the Best Resort for Families with Children in Poland. 100% of points confirm that all of actions are aimed at fulfilling your dreams about the perfect family relaxation. We are proud of the TRAVELLERS' CHOICE 2018 title in the category THE BEST FAMILY-FRIENDLY HOTELS IN POLAND awarded by Trip Advisor. 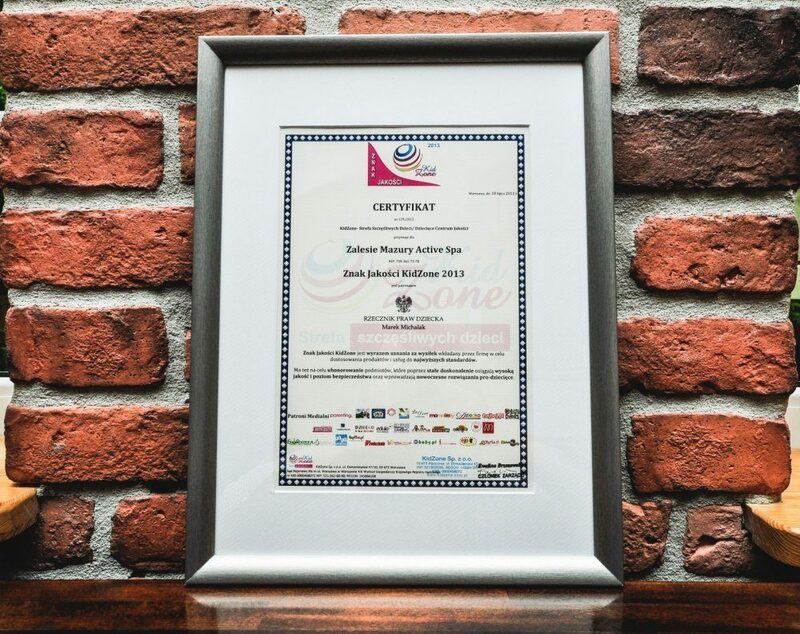 In the 9th edition of the Family Friendly Hotel contest.That’s our third Special Recognition Diploma for Zalesie in the Family Friendly Hotel Contest. These honourary diplomas are granted to such facilities which made a particular impression on the auditors and single themselves out in comparison with other competitors. 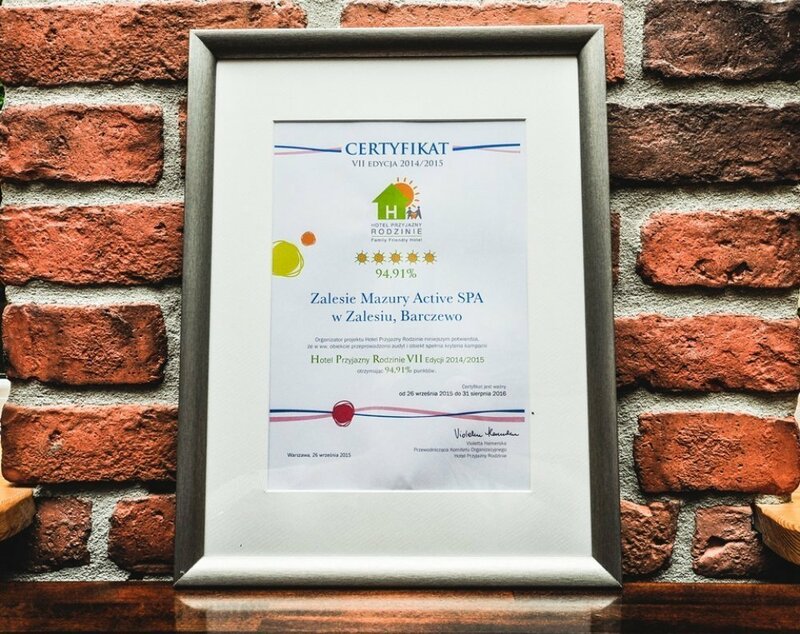 The jury justifies their decision in this way: “If you are looking for a place where the needs of children call the shorts and the needs of parents for relaxation are vital too, choose Zalesie Mazury Active SPA". Once again, our contribution to the offer of family relaxation in Poland has been appreciated. 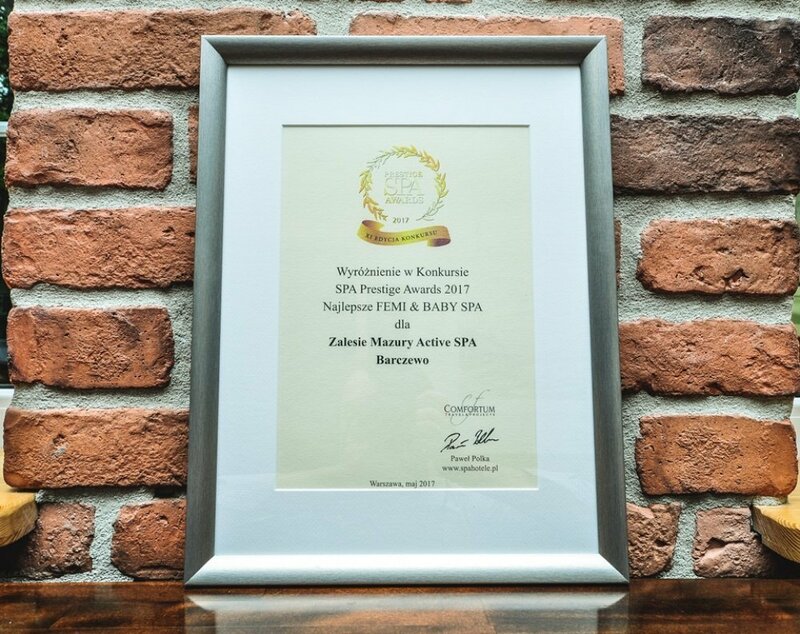 This time, Zalesie Mazury Active Spa has been distinguished as the best FEMI&BABY SPA in the Spa Prestige Awords 2017. On 1 October 2016, we won our third title of the Best Holiday Resort for Families with Children in Poland in the 8th edition of the Family Friendly Hotel Contest! In the 8th edition of the competition, we won a special diploma of recognition, namely "For the Absolute Championship in Children's Animations". Gold medal for interesting, diverse activities and animators with a big heart... Zalesie Mazury Active Spa proves that even if it pours from morning to evening, children leave from the hotel with a feeling that it was their holiday of life. We have been granted 5 sunnies again, the highest grade in the seventh edition of the Family Friendly Hotel Contest 2014/2015. 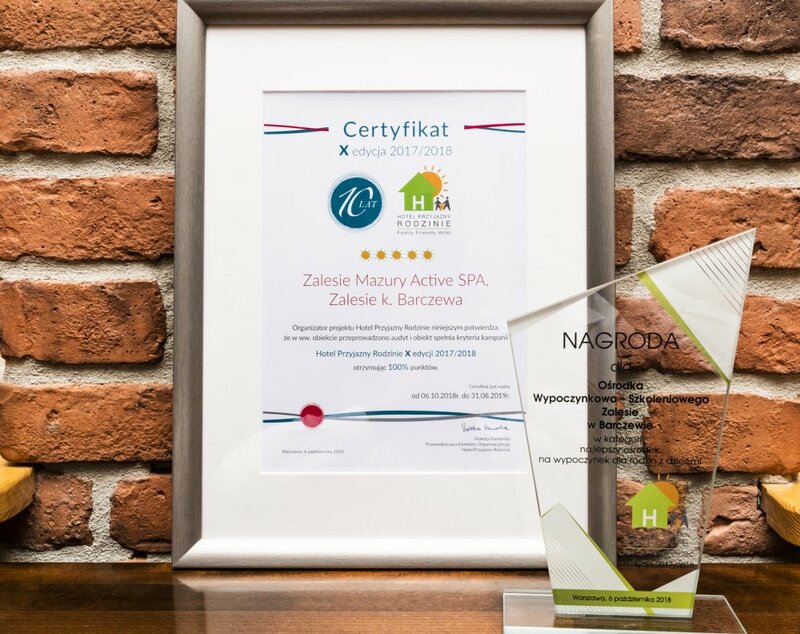 On 28 September 2014, Zalesie Mazury Active Spa was once again named the Best Resort for Families with Children, this time in the 6th edition of the Family Friendly Hotel Contest. As in the previous year, we received the maximum number of suns 5/5 and we obtained the highest certificate confirming the immaculate level of hotel adaptation for families with children. In the 6th edition of the competition, the jury also appreciated our efforts to promote active recreation for children, rewarding us with a special distinction! 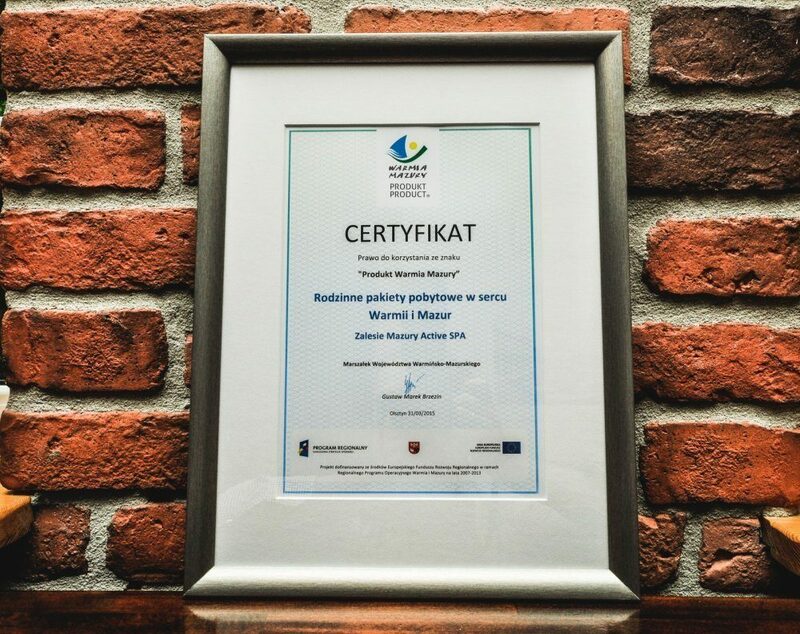 All of our holiday packages for families in the heart of Warmia and Masuria have received an honorable certificate of high quality: the Product of Warmia and Masuria. Once again, we rest assured, knowing that we offer the families who pay us a visit excellent holiday products. Our facility has also been granted the GUFIK SELECT certificate. It means we’re fully prepared to host families with children. Once again, it has been clearly confirmed that in Masuria, there is no better hotel for families with children than our Zalesie. In recognition of the high quality of services offered to families with children as well as the rich offer of attractions for children, we have been granted the KIDZONE quality mark under the patronage of the Commissioner for Children’s Rights.